Help Center CommunicationHow can I tell who will get a card notification? 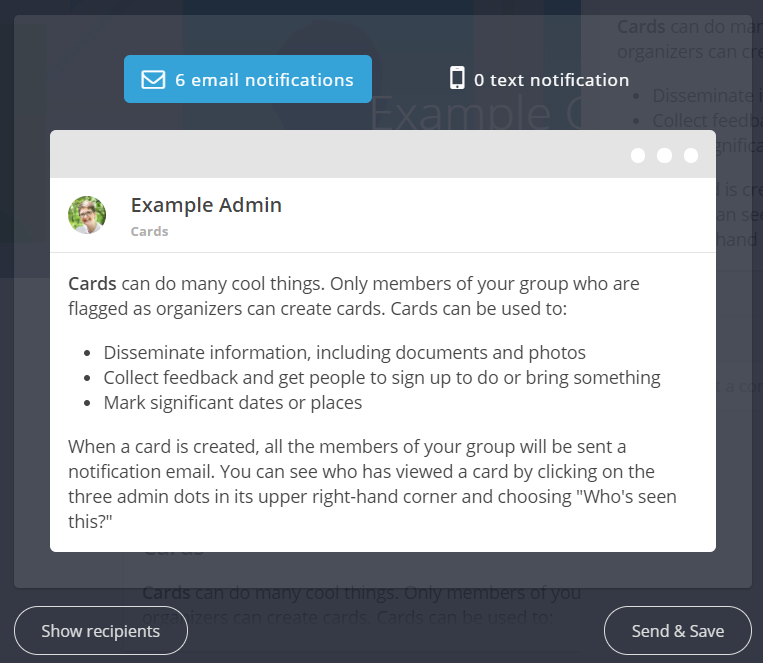 When you are ready to send a card to your members, click the preview button to be brought to a preview of the card as it will appear when sent. To see who will be getting the card, click the "Show recipients" button. You will then see a list of email recipients and a list of text recipients. If there is an "i" icon to the right, clicking on it will tell you why that member is getting that particular type of notification. Prev: How do I send a text to group members? Next: How do I resend a card?